Treyarch continues its love/hate relationship with the co-op community, as mere days after stomping our guts with the dreaded "story is too important" PR line they've begun the path to reconciliation. 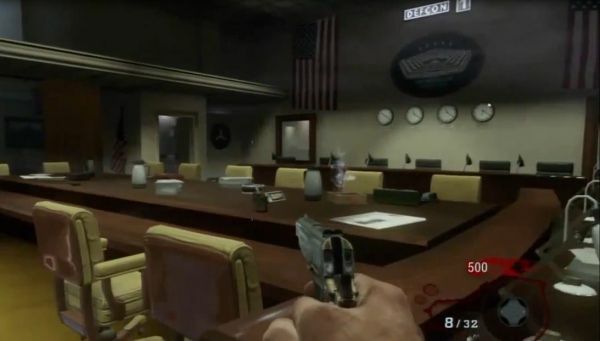 First in Call of Duty: Black Ops news is an informative interview with senior producer Anna Donlon, who has confirmed that the Nintendo Wii version of Black Ops will include both the Combat Training mode and co-op Zombies. These modes will be playable online with Headbanger Headset support. 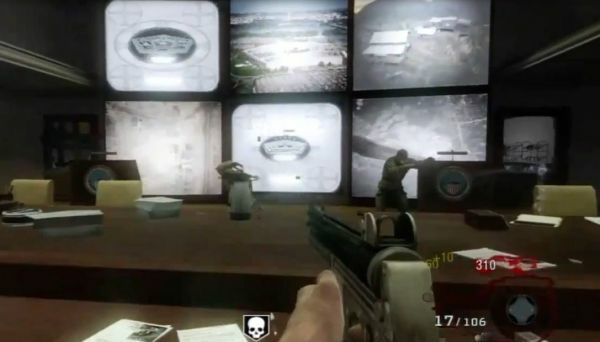 What you're looking at is a supposedly leaked screenshot of the Pentagon as it appears in Black Ops' Zombies mode. That's right - you'll be defending the premiere subject of spook stories and conspiracies from that era. 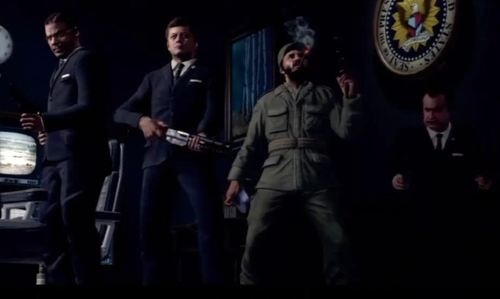 Meet from left to right: Robert McNamara, U.S. Secretary of Defense...John F. Kennedy, President of the United States...Fidel Castro, self-appointed President of Cuba...and Richard Nixon, former Vice President of the United States. Treyarch has officially trumped their own absurdity, and the result is an unbelievable new precedent that I think I'm excited for. I'm shaking my head as I type, because every time I lambast this team for the cotton in their ears they surprise me with something I didn't know I'd wanted. While this doesn't push the game to more co-op friendly territory, it does add some production value to Zombies, which as it stands is still a wildly fun co-op mode. 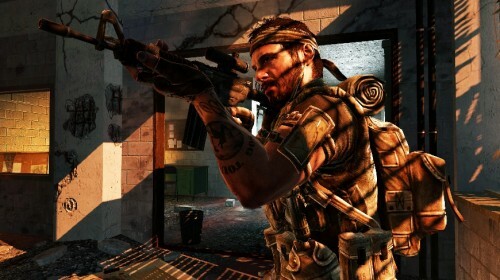 A video of the intro and gameplay is available exclusively at Kotaku, where the rumor surfaced.